Getting started with LXC is a bit awkward and I’ve assembled this guide for anyone who wants to begin experimenting with LXC containers in Fedora 20. As an added benefit, you can follow almost every step shown here when creating LXC containers on Red Hat Enterprise Linux 7 Beta (which is based on Fedora 19). Reboot now. This will ensure that SELinux comes up in enforcing mode (verify that with getenforce after reboot) and it ensures that auditd starts up sedispatch (for setroubleshoot). Let’s grab libvirt along with LXC support and a basic NAT networking configuration. Launch libvirtd via systemd and ensure that it always comes up on boot. This step will also adjust firewalld for your containers and ensure that dnsmasq is serving up IP addresses via DHCP on your default NAT network. Installing packages into the container’s filesystem will take some time. This step fills in the filesystem with the necessary packages to run a Fedora 20 container. We now need to tell libvirt about the container we’ve just created. At this point, libvirt will know enough about the container to start it and you’ll be connected to the console of the container! We need to adjust some configuration files within the container to use it properly. Detach from the console with CTRL-]. Let’s stop the container so we can make some adjustments. Hop into your container and set a root password. We will be logging in as root via the console occasionally and we need to allow that access. Cross your fingers and launch the container. You’ll be attached to the console during boot but don’t worry, hold down CTRL-] to get back to your host prompt. Check the dnsmasq leases to find your container’s IP address and you can login as root over ssh. A suitably configured UID/GID mapping is a pre-requisite to making containers secure, in the absence of sVirt confinement. In the absence of the “user” namespace being used, containers cannot be considered secure against exploits of the host OS. The sVirt SELinux driver provides a way to secure containers even when the “user” namespace is not used. The cost is that writing a policy to allow execution of arbitrary OS is not practical. 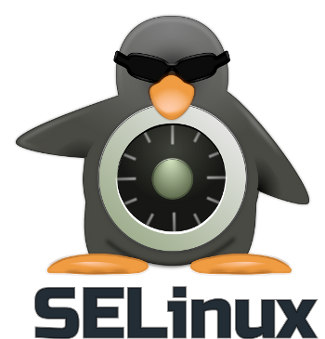 The SELinux sVirt policy is typically tailored to work with an simpler application confinement use case, as provided by the “libvirt-sandbox” project. Containers don’t contain. The kernel doesn’t know about containers. Containers simply use kernel subsystems to carve up namespaces for applications. Containers on Linux aren’t complete. Don’t compare directly to Solaris zones yet. Running containers without Mandatory Access Control (MAC) systems like SELinux or AppArmor opens the door for full system compromise via untrusted applications and users within containers. Using MAC gives you one extra barrier to keep a malicious container from getting higher levels of access to the underlying host. There’s always a chance that a kernel exploit could bypass MAC but it certainly raises the level of difficulty for an attacker and allows server operators extra time to react to alerts.